How Many Times Can You Re-use The Same Weave? 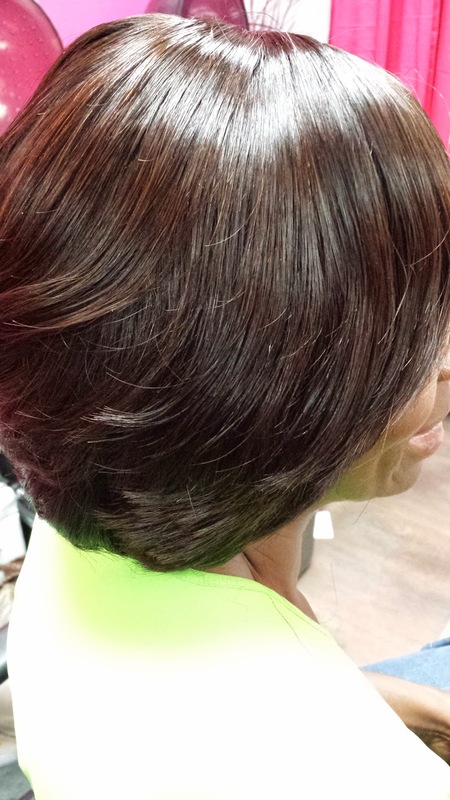 This client came in today for a sew-in. The first time she used hair from my L. Jones Hair Collection line and this a couple of the pictures from her first sew in. 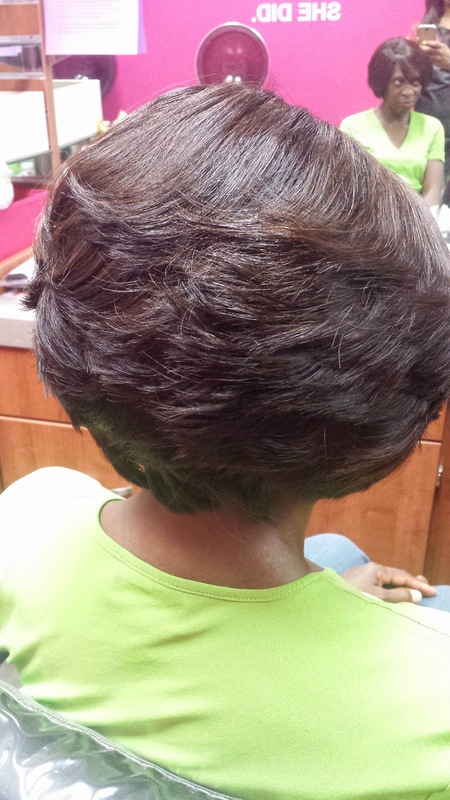 Aug 20, 2014 which means it has been about three and a half months since she had her sew in up. 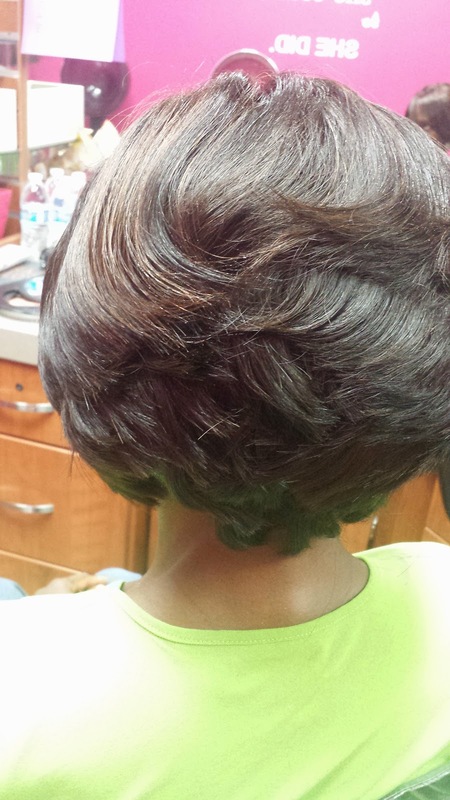 Today I took this sew in down, shampooed the hair as well as the client's real hair and did her sew in over again. Here are the new pics. This is the same exact hair! The only difference is that I cut it a bit shorter this time. She likes to wear it short so I took it a bit more off of the neck. But the hair is still shiny and soft like I just got it out of the package. Her hair is too short to wrap now so instead she can just put her scarf on to lay down the top and sides an just comb it with her wide tooth comb in the morning. 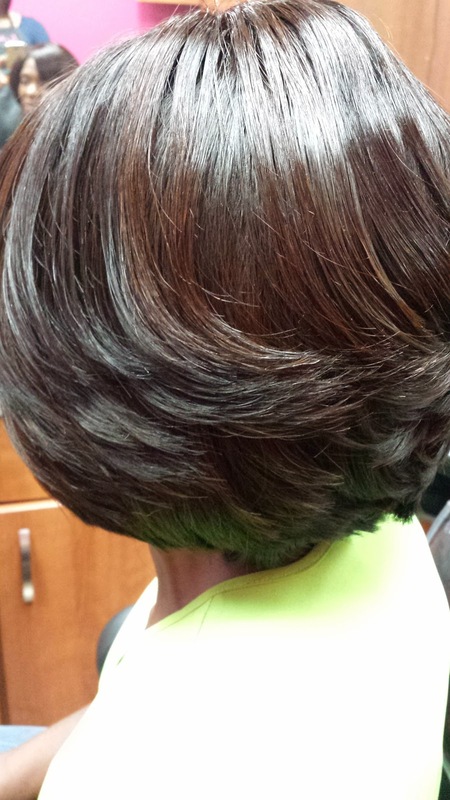 Good quality hair can last you up to two years if you take good care of it. If we continue to cut on this hair, she may not be able to reuse it as it gets shorter and shorter but definitely the longer lengths can last for a greater amount of time. 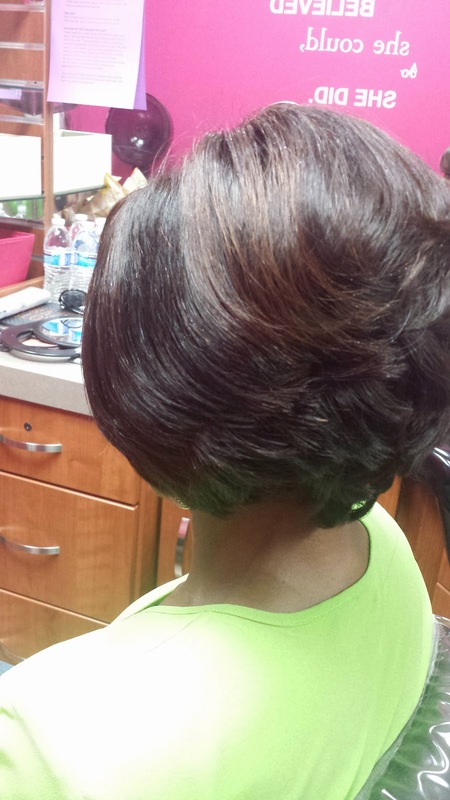 Need some great quality hair like my client? 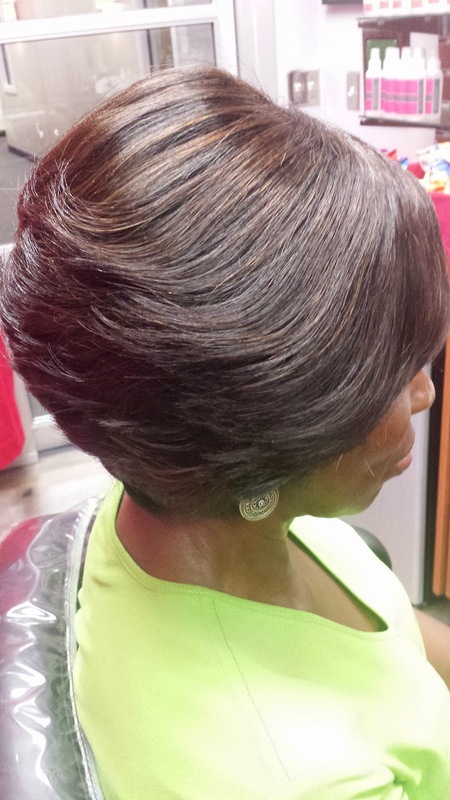 Head to www.ljoneshaircollection.com to place your order any time of the day or night. Yes she is wearing the same shirt but it is two different days. She comes to her appts after work, that is her uniform shirt. Also, one pic is longer and the other is shorter where she had it cut. I have no need to lie.